Known for its daring spirit and adventurous soul – not to mention its worthy Swiss craftsmanship and bold Italian heritage – Panerai has created watches for the Italian Navy, underwater frogmen, and adventurer Mike Horn as he recently trekked across all the continents. The brand is regularly on the leading edge when it comes to watch instruments and high-tech materials. As such, it came as no surprise to me when I heard last year that Panerai was venturing into the world of high-tech synthetic ceramics. Afterall — this is Panerai — the submersible, right? In 2010, Panerai launched the Radiomir Composit 339 with mechanical movement, which seemed to be a sterling attraction for Paneristi fans. Today, the brand announced its intentions to release the Luminor Marina 1950 3 Days Automatic Composite (R) at the upcoming SIHH 2011. The 44mm watch is larger, easier to read, and houses the Panerai P 9000 Automatic movement – but we’ll come back to that in a minute. 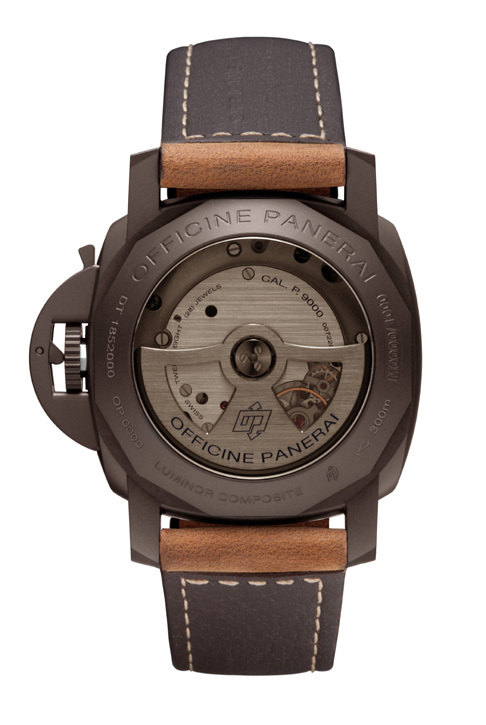 First, for those who don’t know, let me explain the Panerai Composite(R). It is created via an electro-chemical process that transforms aluminium particles, making the material extremely light-weight, but at the same time incredibly hard and durable. The matte finish that results from the process is not only technically advanced, but also distinctive in color and appeal. The entire Luminor 1950 case, integrated bezel and trademarked bridge protecting the winding crown, is executed in the material. 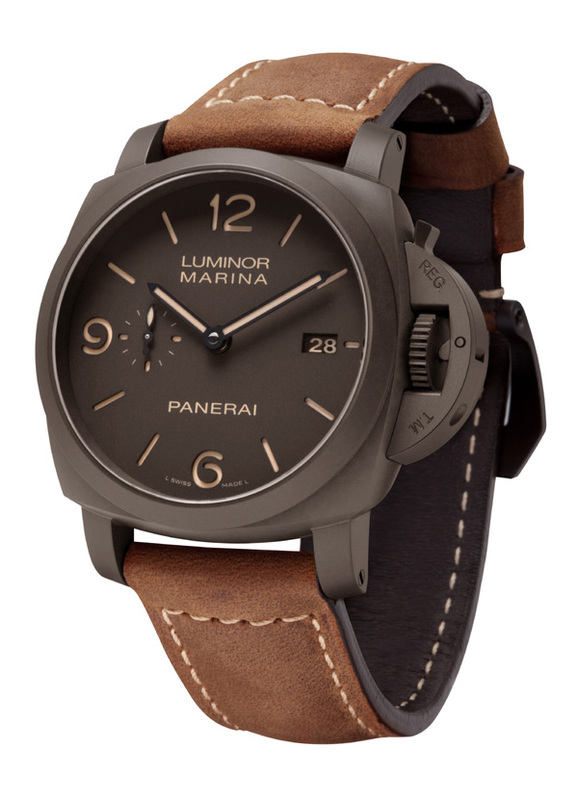 As one would expect from Panerai – it is water resistant to 300 meters. What's the suggested price on this one?….nice watch!